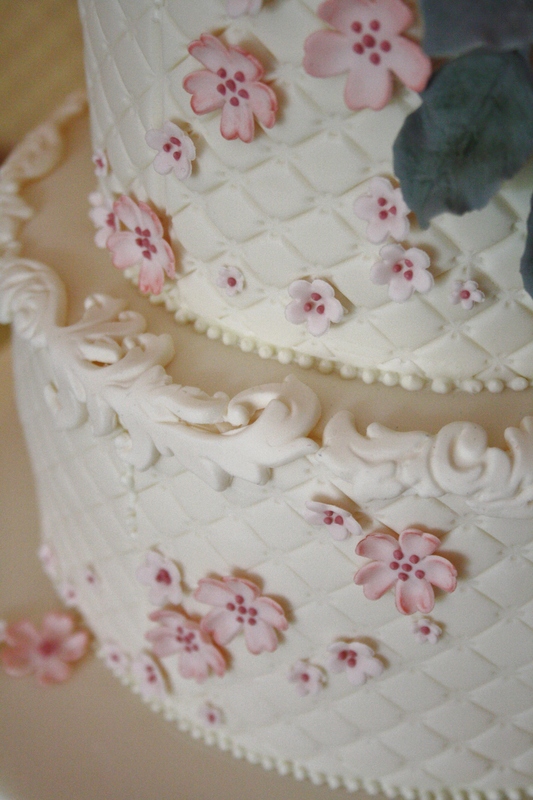 Three Tier Wedding Cake at Ashdown Park Hotel, Wych Cross, Sussex. 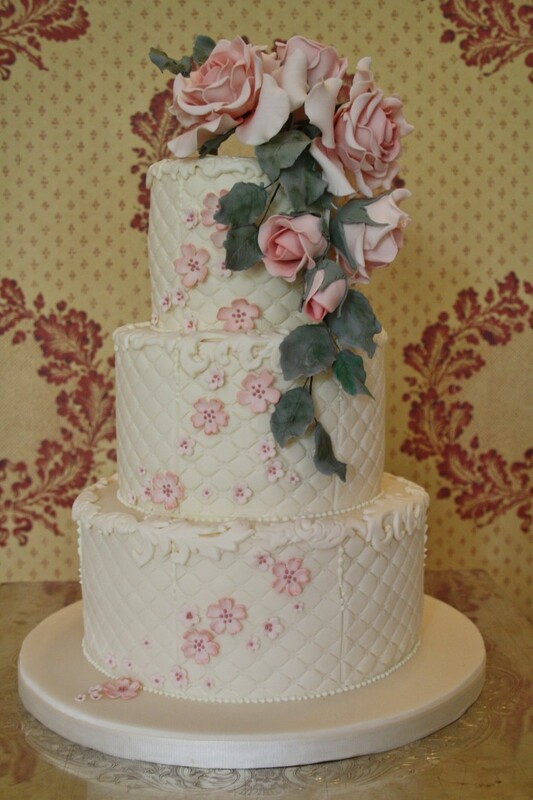 Sugar Roses and Foliage, Sugar Lace and Blossoms on lattice finished ivory base. Bottom and top tiers of Vanilla sponge with Raspberry Conserve and Vanilla Bean Paste whipped buttercream, middle tier moist Belgian Couverture Chocolate sponge with whipped Belgian Couverture Chocolate Ganache filling. Cake serves 100 finger portions.